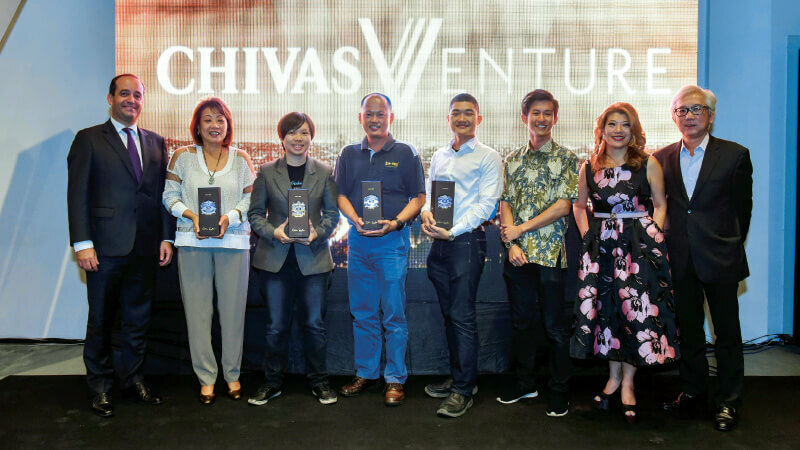 LAST week, Malaysia found its country representative for this year’s Chivas Venture final pitch, which takes place in Amsterdam on May 24. The Picha Project is a social enterprise headed by a trio of twenty-something women that empowers marginalised communities in the country through a sustainable food catering business. It delivers to customers’ doorsteps authentic traditional meals from diverse cultures — Syrian, Burmese, Afghan and Rohingya, among others — that are prepared in the kitchens and homes of refugee families. 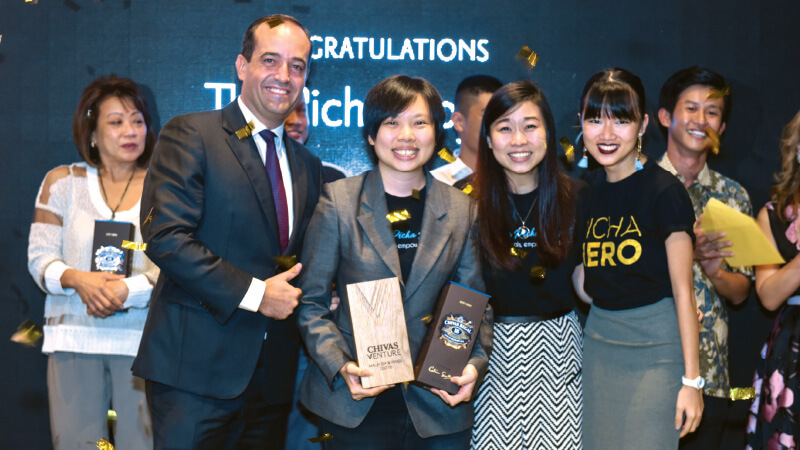 After an intense live pitching competition at [email protected] Row in Jalan Doraisamy, Kuala Lumpur, which saw The Picha Project and three other finalists, Chocolate Concierge, Promise Earth and The Truly Loving Company, pitch their business and answer difficult questions posed by the four-member jury, it was crowned winner of the Malaysian final. The victory places The Picha Project on the world stage — where it will compete with other finalists from around the world to take home its share of US$1 million in funding. “It feels really good having won the Malaysian round. Having said that, there is still so much for us to learn in order to improve and move forward with the business, and ultimately, positively impact more lives,” The Picha Project’s co-founder and head of operations Lim Yuet Kim tells The Edge. “At the beginning of the competition, I was really nervous because our business model differs from that of our competitors. But we gave it our best shot,” Lim says. 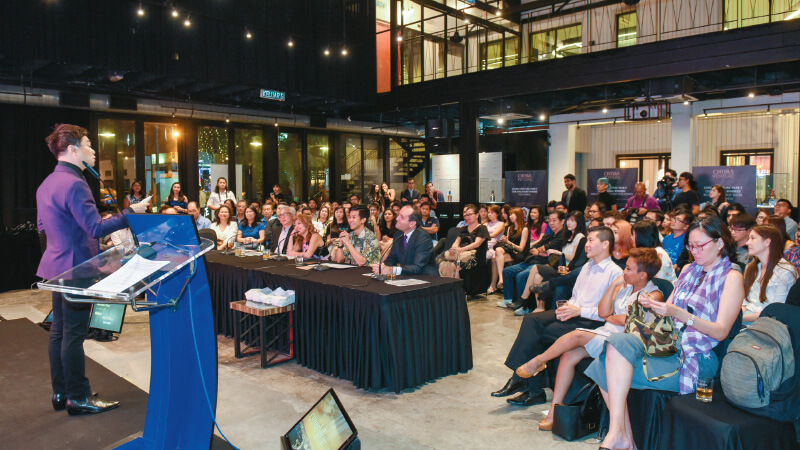 She is as honest as a mirror, and hints that she and fellow co-founders, Lee Swee Lin and Suzanne Ling, initially had doubts as to how they would fare in the competition. The key driver behind the establishment of The Picha Project, she says, was seeing refugee children not completing their education because of their families’ financial problems. At the moment, The Picha Project works with 12 refugee families from different ethnicities. According to its website, half of the company’s revenue is given to the families, 18% is allocated to employees’ salaries, 16% to operations and 16% as profit. This is based on estimated revenue of RM26,000 per month. And what does The Picha Project plan to do with the money should it win in Amsterdam? “We want to expand the business so we can reach other communities beyond refugees. The goal is to go into other countries and improve the lives of many different communities,” Lim says. Walk into any supermarket and you would be sure to spot the “TLC” brand of household products, which stand out with their bright green packaging. The line includes baby and personal care products, laundry detergents and cleaning products for the bathroom, floors, and kitchen as well as general cleaning. The Truly Loving Company — a social enterprise that used a corporate profit model to build a brand that generates long-term, sustainable income for charities — made a bold move when it pledged to channel 100% of its dividends to charity. “We are now helping 37 charities in Malaysia ... We do not help once, but on a regular basis,” says founder and CEO Julia Chong. It was a strong contender in the Malaysian round of Chivas Venture, although it did not make it to the grand final. Still, Chong vows to hold onto the company’s biggest plan: planting the TLC brand in very Malaysian household. Besides Malaysia, TLC is also available for sale in Singapore and online. Established in 2008, Promise Earth (M) Sdn Bhd is a biotechnology company specialising in organic waste treatment via fermentation and composting. In a nutshell, Promise Earth addresses food waste through its Bio-Mate Fermentation Technology, and at the same time, manufactures animal feed and fertilisers that benefit the earth and orchard and poultry farmers. Food waste is fermented as a safe product for farmers to use. Across the country, about 30 orchard and poultry farmers are using Promise Earth’s products. “Apart from changing the world for the better, whatever funding we secure in the future will be used to improve our products (through the acquisition of machines and trucks) and, of course, to boost our market share. We now account for a very small 0.01% for the animal feed and fertiliser market,” Yu Shih Huei, general manager of operations, tells The Edge. From May 2015 to October 2017, Promise Earth says it treated over 1,600 tonnes of excess food, equivalent to diverting 1.5 million kg of greenhouse gases from the atmosphere. “We really want to help everyone and anyone, particularly planters and poultry farmers. They can produce healthier crops by reducing the usage of herbicides and pesticides. Likewise, healthy soil creates healthy produce, and any food source that is healthy is good for all,” Yu says. 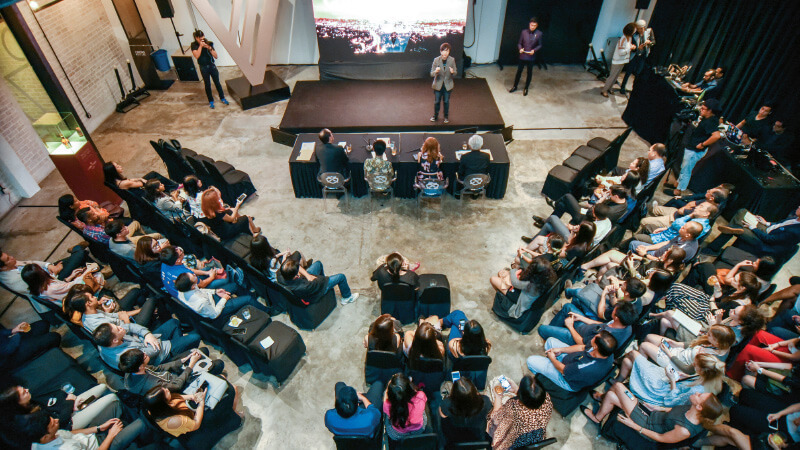 Although he did not qualify for the Chivas Venture’s grand final, Ong Ning Geng, who founded Chocolate Concierge, is undoubtedly a charismatic presenter. “I grew up in a rural area and my schoolmates and I used to skip classes to wander in the nearby jungle. To me, nature is and always will be refreshing. And that was sort of how I ventured into the chocolate-making business,” Ong says. What sets Chocolate Concierge apart from its competitors is that it gets its cocoa beans from Orang Asli villages. And according to Ong, it is not just because the Orang Asli communities are among the most marginalised, but “somehow their cocoa beans just taste better”. “We work closely with farmers in Pahang, and pay them up to four times more than the going rate for their cocoa beans. These people are facing tough legal battles for their rights but, sadly, we tend to ignore them. So this is us helping them,” Ong says. He tells The Edge that although Chocolate Concierge began operations last year, the idea of producing chocolates came up a decade ago. “We are one year old and it has been a steep learning curve ... Here’s the thing, I did not want to just make chocolates, I wanted to make only the best,” he says. Chocolate Concierge’s manufacturing facility in Desa Park City currently produces about 200kg of chocolates per month. But Ong says this is only enough to meet the demand in Malaysia. “Our products are also exported, but we are struggling to meet demand. Our production capacity is limited. We ship to Vietnam, Singapore and a limited capacity to the US. We have orders from Japan but we just cannot fill them for now,” he laments. Hence, any funding acquired in the future will be used to expand capacity, he says.